Worship is the heart of what we gather to do as a community of faith. We seek to worship God—not ourselves, not our culture, not our political affiliations, not even our own giftedness. We gather in worship to give thanks to God, to offer adoration to God, to pray for God’s mercy and guidance, to hear from God’s word, to be challenged to live for God’s kingdom, and to become the new creations God has designed us to be. Worship at First Baptist Corbin seeks to remain faithful to the stream of Christian and Baptist heritage that has shaped us. We do not start with the felt needs of the culture and then craft a religious experience to address those needs. Instead, we begin with the traditions of the church—the prayers, the hymns, the liturgies, the preaching—and invite people to join the ongoing stream of faith. Worship leadership includes an intentional mix of clergy and laity, male and female, young and old. This intentional mixture demonstrates weekly the common ground on which we approach the task of worship. We gather in community, and we worship in community. Following the tradition of the larger Christian church through the centuries, we include readings from both the Old and New Testaments, and we make use of the Hebrew worship book, the Psalms. We read the Bible through the lens of the Gospels, particularly the words of Jesus. 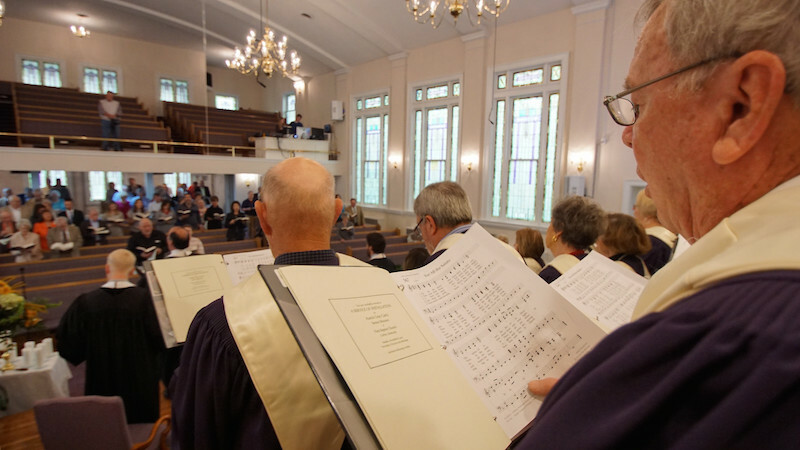 Worship leaders at First Baptist Corbin follow what is known as the church year—a cycle of annual markers beginning with Advent. In this context, three one-year cycles of Scripture lessons have been outlined and adopted by large segments of the Christian church as a means to progress systematically through the Bible. On many Sundays, the sermon text at First Baptist Corbin is drawn from one of that week’s predetermined Scriptures. We would love to have you join us for a worship service Sunday morning at 10:30 AM.